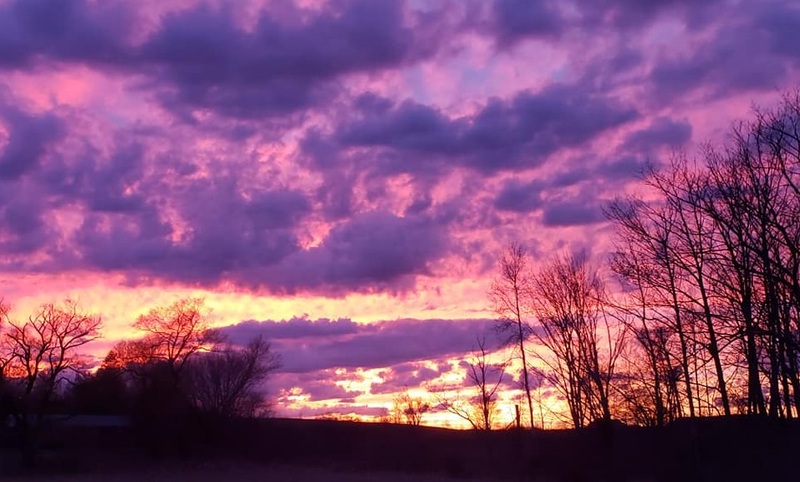 Chuck Sackman of Washington Township, Wyoming County was one of many photographers in the Endless Mountains to catch the brilliance of Monday night’s sunset. Warm, windy, frosty, hailing, chilly, bright, raining, gloomy. Such is spring in northeastern PA, where anything can happen in April. Thankfully, there is no snow in the forecast for the next two weeks, but things can change abruptly. There were no 70s in the short term forecast as of yesterday, but low-and-behold, weather.com plopped one back in for Saturday. One thing is for certain. The warm wave of the past three days has come to an end as hail, thunder and brief heavy rains popped up over the region this afternoon. Brisk winds this evening will die down to allow for a quick cooling and starry night, followed by a frosty morning for many and a much cooler day.